Why is Net-Metering limited to 100kW? 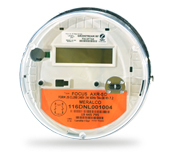 How does Net-Metering work for my Home/ Business? What are the benefits of Net-Metering? What happens if Meralco does not know about my re-installation? As our world increasingly moves towards cleaner and more sustainable energy, we at Meralco support the use of solar, wind, water, biomass and other sources of renewable energy sources. Currently, the most readily available and widely used of these sources is solar. If you're interested in solar energy for your home or business, we would be happy to help you connect safely & securely to the grid. It's the smart way to go solar!